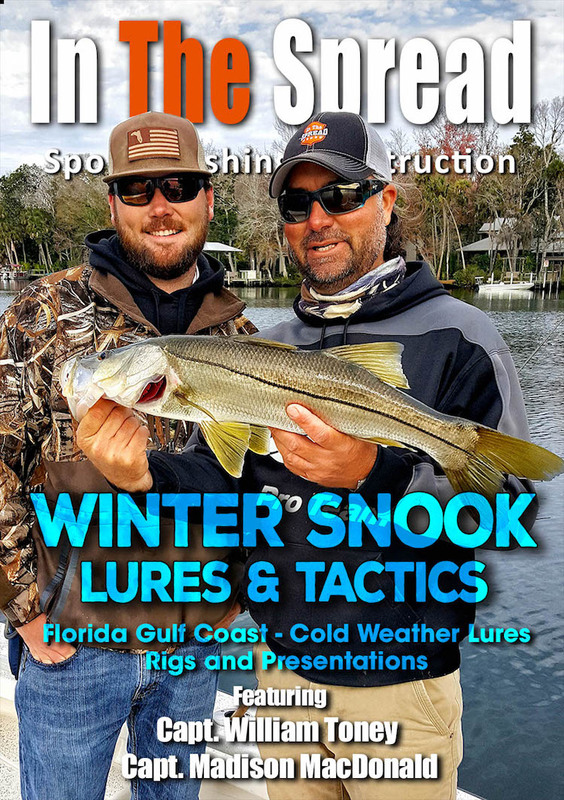 Copyright © 2019, Full Throttle Media, Inc.
Winter is a tough time to target snook. 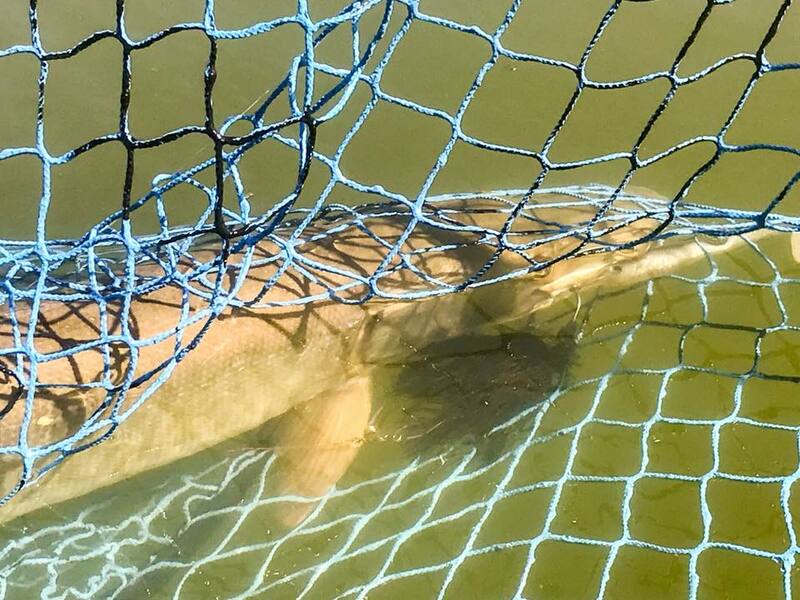 These inshore predators are not cold tolerant, at all. Sluggish is a good descriptive that comes to mind. In this scenario where the water and the air are cold, where are these fish going to stack up. Because that is what they do. It is like a snook condo. Anyway, find areas, like sea walls, dark bottom or up canals and rivers, that hold a tad more heat and you will find fish. When you have it narrowed down to where the fish are, the issue of which snook lures and which snook baits are best pops up. How are you going to target them? Lures and artificials both work quite effectively. You just have to try various options out. 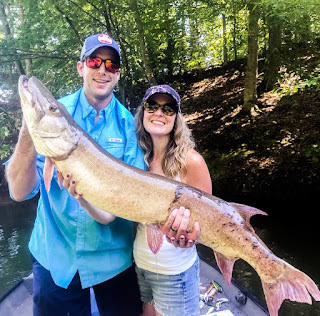 These fishing video from In The Spread featuring Capt. William Toney give you a heavy dose of what works and why for the Gulf coast of Florida. 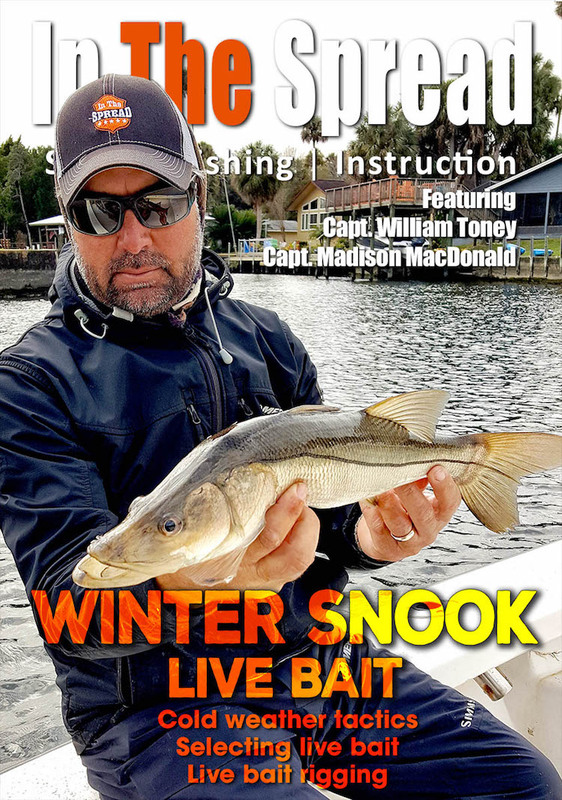 The first video is about using live bait to target snook and which baits work well for the warm brackish water of the Homosassa River. 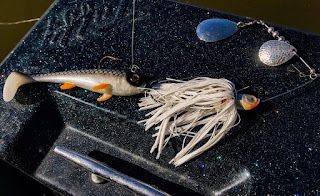 The second video in the snook lures presentation. Both of these videos go into detail on where fish move to and why and what to look for when you are heading out on a cold winter day. Capt. Toney shares his thoughts on a range of lures and baits that he uses on a regular basis. He will talk size, color, action and rigging for each. See how he places his casts to trigger maximum bites. In Tennessee you are legally allowed to live bait with rainbow trout. The horror, the horror! I know. I am sure mountain trout nerds will be triggered into spasmatic convulsions. Oh well. 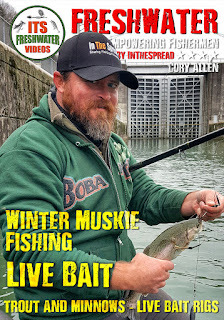 This is one of the best live baits you can use for muskie in the winter. Trout are super hardy cold water fish. Rigged properly, they will swim all day or until devoured by a giant muskie. 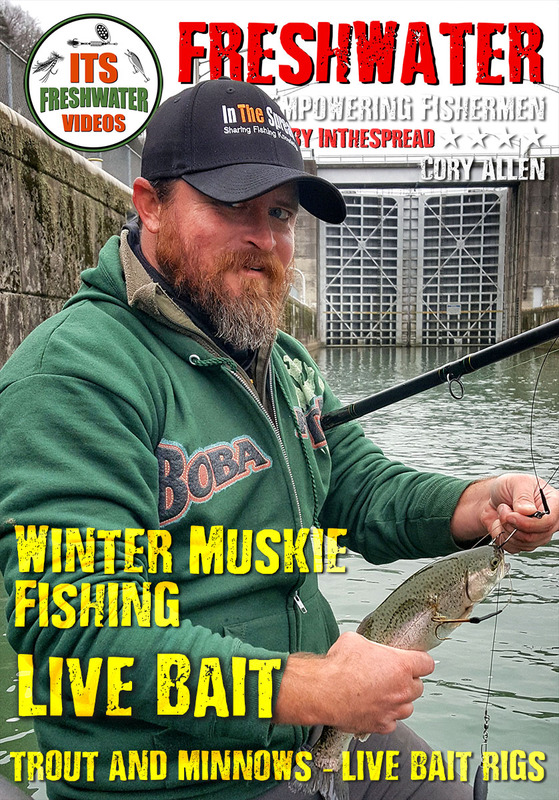 This video from In The Spread, featuring Cory Allen shows you how to fish for muskie using live trout in a lock. What? Yes, that is what I said. 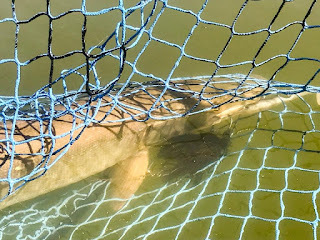 In the winter, muskie will push up stream as far as they can go. Usually, at least in the southern reservoir environment, a dam is as far as they can go. A lock adjacent to the spillway provides an easy still water ecosystem loaded with bait for this apex predator. What better way to target than with the quintessential cold water species, rainbow trout. 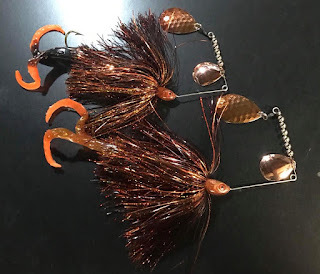 Now, the guys at In The Spread did not go out and catch the trout and then rig them up. They were purchased from a local bait shop. These are farm raised bows and they come in several sizes. Something in the 12 to 18 inch range is ideal. See how to rig live trout using the Joe Murphy #stff live bait rig. In The Spread will also show you how to set your live baits at various depths to provide more coverage throughout the water column. 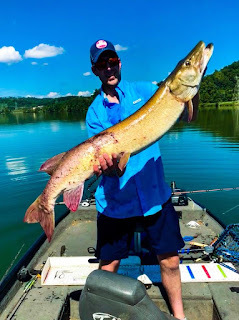 You do this because muskie will suspend and different depths and just hangout. They will not necessarily go after a bait above or below their chosen position in the water column. So, place some baits deep and some in the mid depths. 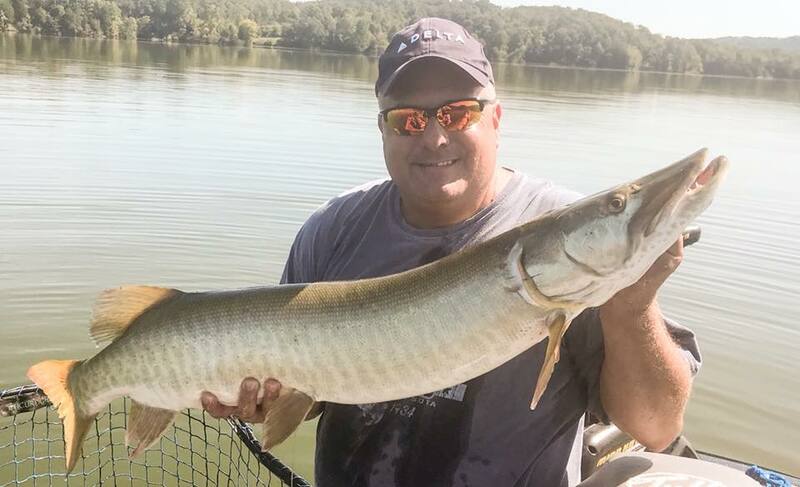 This allows your target species, musky, to exert little effort to score a nice meal. Learn how to rig live bait, where to position it and why and how to slow drift around the lock with this educational fishing video.